This Morakniv Allround 731 fixed blade knife has been developed for and in collaboration with demanding professionals within the construction and industrial sectors. This Mora of Sweden fixed blade features a textured high-friction grip and ergonomically designed handle with red accent that facilitates work and prevents work-related and repetitive strain injuries. 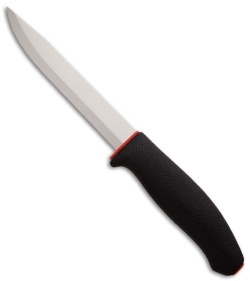 This knife has substantial finger protection. The carbon steel satin-finish clip point blade is razor sharp and features a Scandi grind. 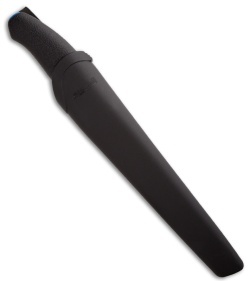 Includes black plastic sheath.